Late one night, I could not sleep, The children were sleeping on the luggage. My wife and daughter were crying, I went outside and walked around. I didn't want them to see me cry. I walked around the building, crying and saying, "God! Why did you punish me? Why did you bring me into this country? I can't understand anybody. If I try to ask anybody anything, all I hear is, "I don't know." I stopped in front of the apartment and sat on a large rock. Suddenly a bright light came toward me. I jumped to my feet because it looked as if a car was coming directly at me, attempting to run me down! I thought the Romanian Secret Police had tracked me to America, and now they were trying to kill me. But it wasn't a car at all. As the light approached, it surrounded me. From the light I heard the same voice that I had heard so many times in prison. He said "Dumitru, why are you so despaired?" I said, "Why did you punish me? Why did you bring me to this country? I have nowhere to lay my head down. I can't understand anybody." He said, "Dumitru, didn't I tell you I am here with you, also? I brought you to this country because this country will burn." I said, 'then why did you bring me here to burn? Why didn't you let me die in my own country? You should have let me die in jail in Romania! He said, "Dumitru, have patience so I can tell you. Get on this." I got on something next to him. I don't know what it was. I also know that I was not asleep. It was not a dream. It was not a vision. I was awake just as I am now. He showed me all of California and said, "This is Sodom and Gomorrah! All of this, in one day it will burn! It's sin has reached the Holy One." Then he took me to Las Vegas. "This is Sodom and Gomorrah. In one day it will burn." Then he showed me the state of New York. "Do you know what this is?" he asked. I said, "No." He said "This is New York. This is Sodom and Gomorrah! In one day it will burn." Then he showed me all of Florida, "This is Florida." he said. "This is Sodom and Gomorrah! In one day it will burn." Then he took me back home to the rock where we had begun. "IN ONE DAY IT WILL BURN! All of this I have shown you" - I said, "How will it burn?" He said, "Remember what I am telling you, because you will go on television, on the radio and in churches. You must yell with a loud voice. Do not be afraid, because I will be with you." I said, "How will I be able to go? Who knows me here in America? I don't know anybody here." He said, "Don't worry yourself. I will go before you. I will do a lot of healing in the American churches and I will open the doors for you. But do not say anything else besides what I tell you. This country will burn!" I said, "What will you do with the church?" He said, "I want to save the church, but the churches have forsaken me." I said, "How did they forsake you?" He said, "The people praise themselves. The honor that the people are supposed to give Jesus Christ, they take upon themselves. In the churches there are divorces. There is adultery in the churches. There are homosexuals in the churches. There is abortion in the churches and all other sins that are possible. Because of all the sin, I have left some of the churches. You must yell in a loud voice that they must put an end to their sinning. They must turn toward the Lord. The Lord never gets tired of forgiving. They must draw close to the Lord, and live a clean life. If they have sinned until now, they must put an end to it, and start a new life as the Bible tells them to live." I said, "How will America burn?" America is the most powerful country in this world. Why did you bring us here to burn? Why didn't you at least let us die where ALL the Dudumans have died?" "What will you do with the Church of the Lord? How will you save the ones that will turn toward you?" I asked. He said, "Tell them this: how I saved the three young ones from the furnace of fire, and how I saved Daniel in the lions den, is the same way I will save them." 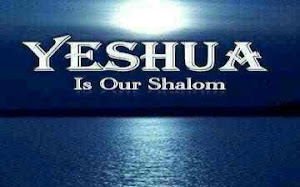 The angel of the Lord also told me, "I have blessed this country because of the Jewish people who are in this country. I have seven million Jews in this country, but they do not want to recognize the Lord. They didn't want to thank God for the blessing they received in this country. Israel doesn't want to recognize Jesus Christ. They put their faith in the Jewish people in America. But, when America burns, the Lord will raise China, Japan, and other nations to go against the Russians. They will beat the Russians and push them all the way to the gates of Paris. Over there they will make a treaty, and appoint the Russians as their leaders. They will then unite against Israel. When Israel realizes she does not have the strength of America behind her, she will be frightened. That's when she will turn to the Messiah for deliverance. That's when the Messiah will come. Then, the church will meet Jesus in the air, and he will bring them back with Him to the Mount of Olives. At that time, the battle of Armageddon will be fought." When I heard all of this I said, "if you are truly the angel of the Lord, and everything you have told me is true, then all you have said must be written in the Bible." He said, "Tell everyone to read from Jeremiah 51:8-15, Revelation chapter 18, and Zechariah chapter 14, where Christ fights against those who possess the earth. After His victory," the angel said, "there will be one flock and one Shepherd. There will be no need for light. The Lamb of God will be the Light. There will be no sickness, no tears, and no deaths. There will only be eternal joy and God will be the ruler. There will be only one language. Only one song. And no need for a translator! ... And, Dumitru," he continued, "a word of warning. If you keep anything from the American people that you are told, I will punish you severely." "How will I know that this is for real -that it will really happen?" I asked. "As a sign that I have spoken to you, tomorrow before you wake, I will send someone to bring you a bed, and at noon I will send you a car and a bucket of honey. After which I will send someone to pay your rent." The next day someone brought Dumitru a bed, and at noon a car arrived with the bucket of honey. His rent was also paid, as God had promised him. (See chapter 10, "THROUGH THE FIRE WITHOUT BURNING.") Then the angel left.